I've really "worked" at my summer wardrobe this year, as silly as that sounds to say. I always find myself disappearing into high street stores in May and June, emerging with £50 worth of tops and tees that get worn once and are shoved into a bag in the spare room thrown away only months later. This time around I've picked out a few key pieces I know I'll wear to death, starting with this off the shoulder top from Madewell. For those who don't already know of Madewell, it's J Crew's slightly hipper little sister. 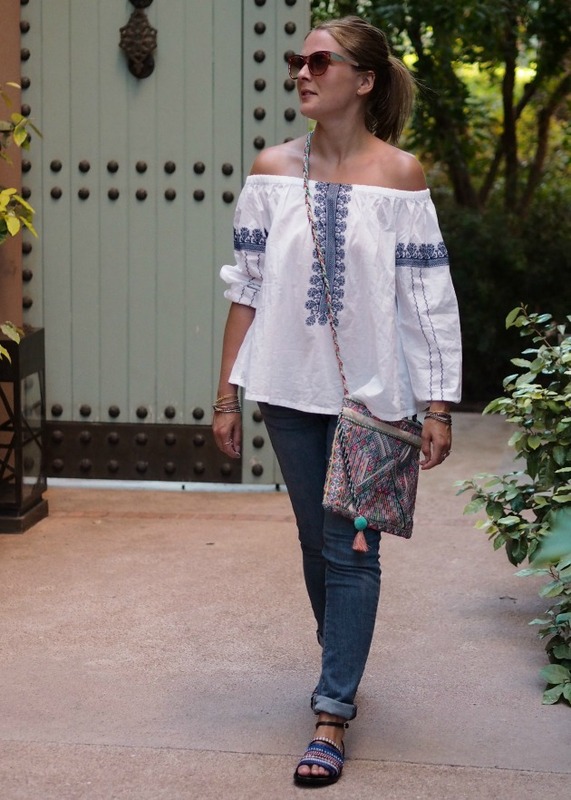 If you're a bit like me and don't like to stray too far from the norm - but want to try out the boho look - make this brand your new go-to. They make gorgeous quality boho pieces as well as having strong denim collections here and accessories here. They're yet to bring a store to the UK, but you can ship a very good edit of the collection at Net A Porter here. My accessories are great examples to show you don't need to buy loads to get the boho-look all summer. My shoes are from Tory Burch via The Outnet (a great way to shop on a budget, without worrying a lot of polyester/plastic cr*p will arrive), have a look at their full offering here. I'm a little bit obsessed with these, and have worn them constantly ever since getting hold of them - the blue really pops out, they're super comfortable and were half price. 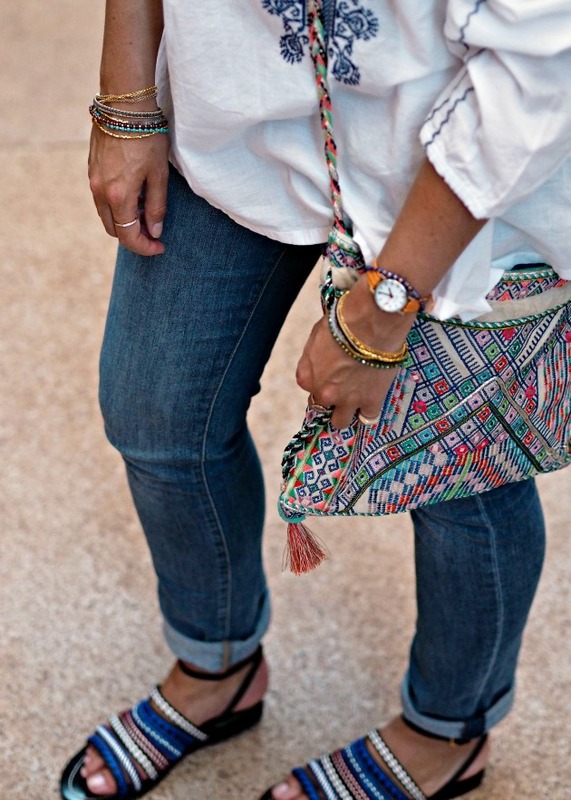 The bag is from a brand called Star Mela that seems to be cropping up all over the place - they're really good for boho stuff that doesn't break, or break the bank. I bought it from Anthropologie last year, and have found similars on ASOS here and them again here. The sunglasses are from Gucci, and it's actual love. I got them before the whole phenomenon kicked off and was a bit worried about wearing them as the brand wasn't exactly cool. Now, they're the things all my friends are trying to steal from me. You can get them in khaki-glass here, but the reds are pretty much sold out - or Shopbop have these for half price. The next closest thing I've found are these for £12 from ASOS, in case the green won't do.